Photographer Abbas Chronicles 'What People Do In The Name Of God' Abbas became interested in religion while covering the Iranian Revolution. "I could see that the waves of passion [that were] raised by the Revolution were not going to stop at the borders," he says. 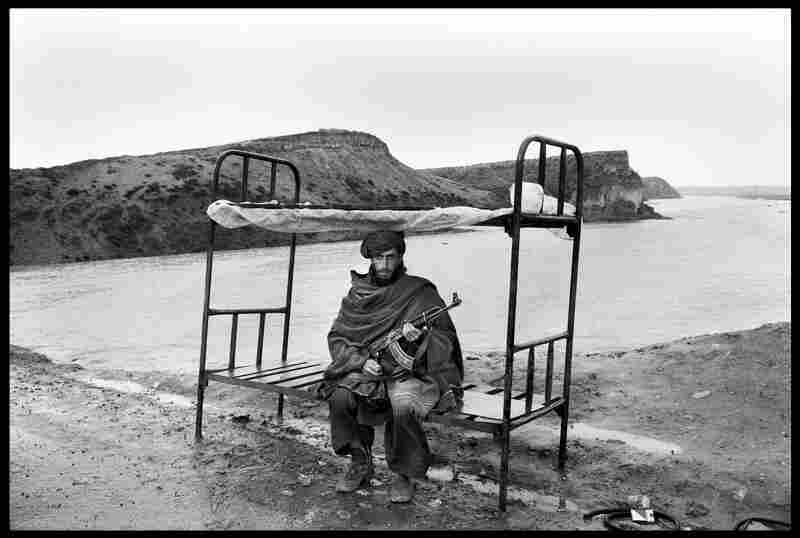 A mujahid of the Hezbi-Islami Islamic party guards the road near Kabul, Afghanistan in 1992. 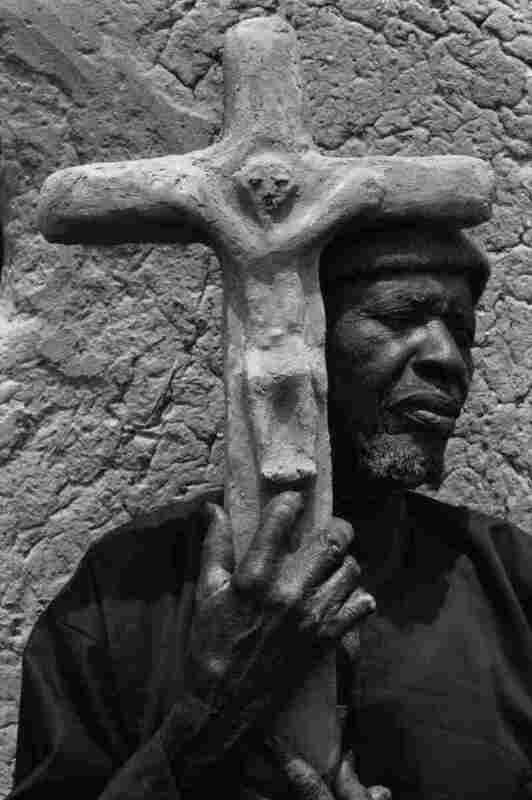 A Christian holds a crucifix made in the Dogon style in Bugudunjuru, Mali in 1996. 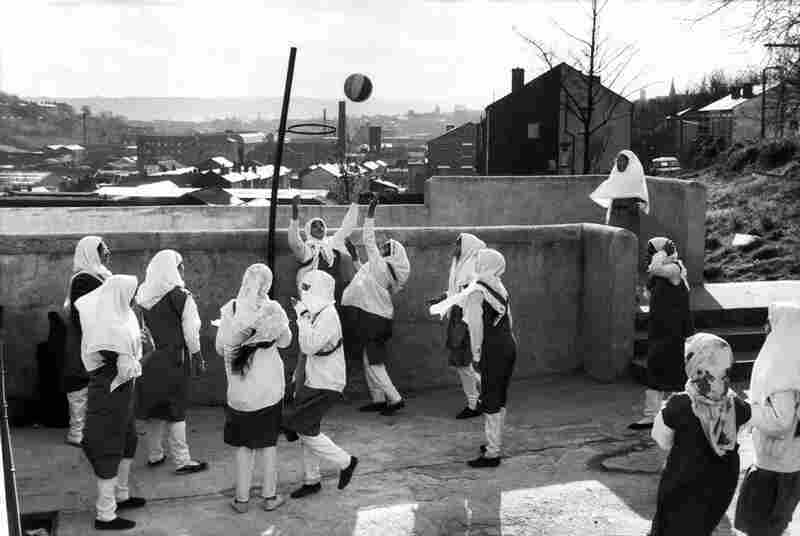 Girls in hijab play touchball at the Zakaria Muslim Girls High School in Yorkshire, England in 1989. 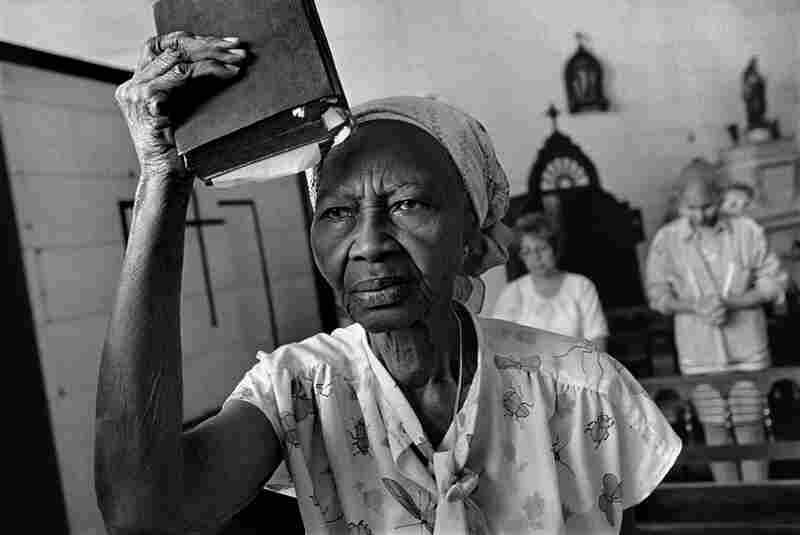 A woman raises her Bible as a flag, before while listening to a sermon in Havana, Cuba in 1997. 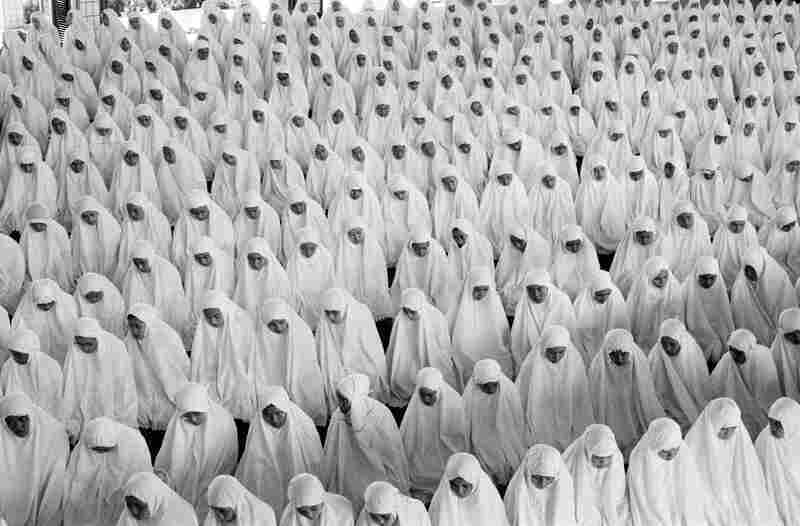 Students of the Al Azhar college in Jakarta, Indonesia attend Friday prayer in the auditorium in 1989. 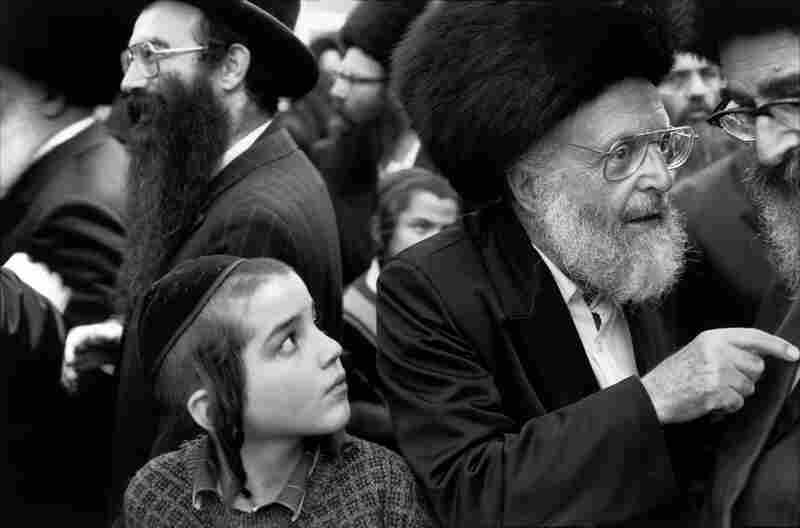 Young and old Hasidic Jews congregate in Jerusalem. Iranian-born photographer Abbas knew from a very early age that he would spend his life taking pictures. Growing up in Algeria during that country's war for independence more than a half-century ago, he remember being struck by the violent, life-altering events taking place around him. "I could see history being made in front of my eyes," he tells Fresh Air's Terry Gross. "For a young boy witnessing these events, it's almost normal to become a journalist or be interested in the present." In the late 1970s, Abbas' interest in bearing witness took him to his native Iran, during that country's Islamic Revolution. He initially viewed the uprising in Iran as a revolt of the people, but gradually he saw it had been usurped by the mullahs. It was then that Abbas decided to focus his camera on the religions of the world. "Before the Iran revolution I had no desire to photograph religion," he explains. "But covering the revolution for two years I could see that the waves of passion [that were] raised by the revolution were not going to stop at the borders of Iran." Abbas spent seven years chronicling Islam, then he moved on to other faiths, such as Christianity, Buddhism, Judaism, Paganism and Shamanism. "What I'm interested in is not only the personal belief, it's what people do in the name of God — sometimes the great things, and sometimes the stupid and violent things they do in his name — that's more interesting to me," he explains. Abbas has a new exhibit, Children of Abraham, which opens Friday at the University of Pennsylvania's Arthur Ross Gallery. The collection includes 66 photos of Muslims, Christians and Jews from around the world. We heard that people had been executed during the night, so the only way to see the result of the execution was [at] the morgue, so I rushed to the morgue, and I was not the only photographer, there were other photographers. Suddenly I see four bodies in slabs. That was the turning point, because that's when I decided this revolution is not going to be mine anymore. Up to then, after the revolt became a revolution, and millions of people joined the revolution, which was manipulated at the beginning by the mullahs, and it became a national revolution, not just a religious one, I joined as well. That was my country, my people and my revolution. But this very moment when I saw these four generals at the morgue I decided to stay on, work as long as I can, I can work freely, but it was no longer my revolution. There was a pro-shah demonstration. ... They were hitting her and dragging her, so of course, as a photographer you first react. I mean, you don't think too much. They were running, and I was running backwards and taking pictures at the same time. And there's always somebody saying, "Don't take pictures! Don't take pictures!" I will always answer in Farsi ... "This is for history!" When I said the word "history," it somewhat clicked in people's minds, "OK, it's not for right away. It's for later on, the SAVAK [Iranian intelligence] will not recognize me in the photographs. I will have no problems." So they will not hit me instead of hitting the woman, but the problem was not taking the photo, the problem was should I show the photograph? And show it then? Because in the evening I used to get with friends and we'd talk about the day, and they'd say, "No, Abbas, you can't show this photograph now because it gives an unfavorable image of the revolution." Up to then, the violence was one-sided, it came from the regime. Suddenly you have this picture of the revolution being very violent. I said, "I'm sorry, this picture, I'm going to show it and I'm going to show it now, and it might ... be my revolution, but I have to show it, because I'm not only working for history, I'm working for the history of the present and today's history, and I have a duty to my viewers as a journalist, as a historian of the present, I have a duty, so I'm going to show it." I was at a friend's home, and then suddenly I see on TV live the two towers crumbling. 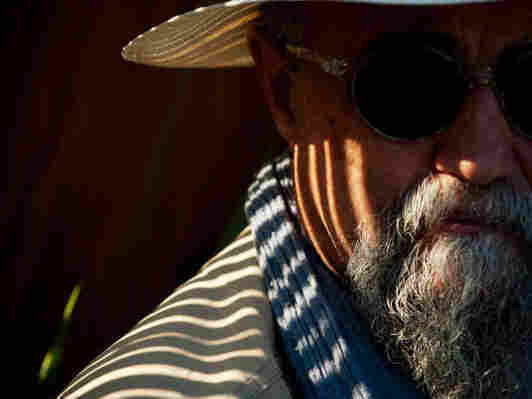 And I was working on [a book on] shamanism... And I thought one of the shamans, which I had photographed in the afternoon had programmed [a] hallucination, because a good shaman can do that, because what I was seeing was beyond my imagination. Suddenly I realize, "No, no, it's not a hallucination," and I knew right away that it was the work of Islamists, because at the beginning they were saying, "Maybe it's an accident, or maybe it's the Palestinians." No, I knew it was Islamists, and probably bin Laden, because I had worked enough on them and on Islam to know that only they could pull something of this magnitude.